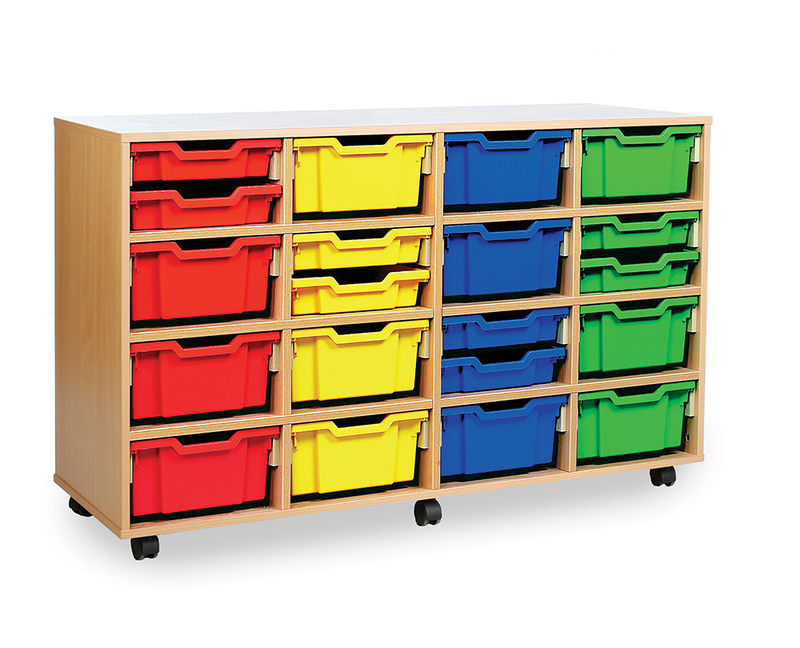 Our combination tray unit allows you to mix and match tray sizes to accommodate your classroom storage needs. Available with either 32 shallow trays, 16 deep trays or 12 deep trays/8 shallow trays as shown in the image. The storage unit is constructed of 18mm durable MFC in a modern beech finish. It comes with easy glide castor feet so you can choose to have your classroom storage unit mobile or static. 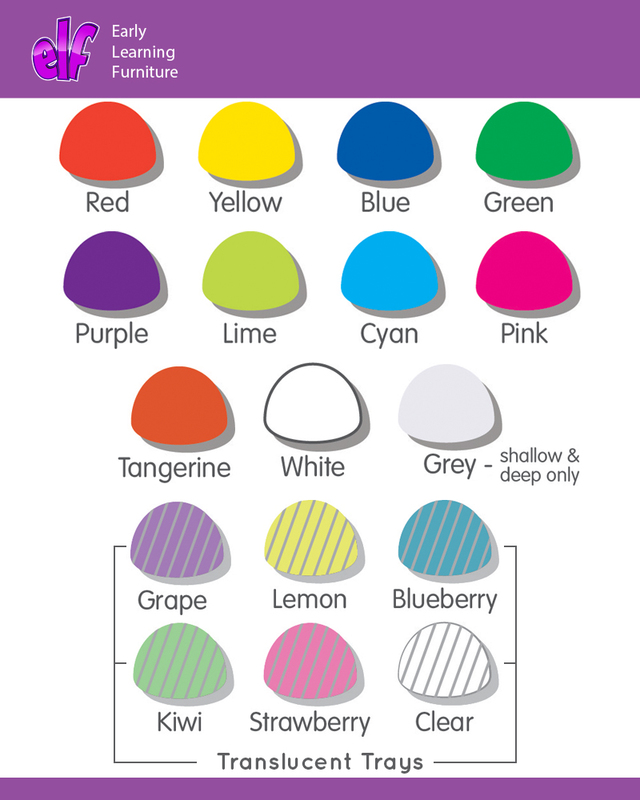 Trays are available in 16 bright colours.